Bodrum Airport Turgutreis Transfer. Turgutreis is a town in Turkey about a 60-minute drive from Bodrum International Airport. It is the second largest town on the Bodrum peninsula and is part of that district, in Muğla. Turgutreis is 20 km from Bodrum, and is spread throughout a rich valley well planted with orchards and vegetable gardens, making the town a centre for commerce on the western side of the peninsula. Produce from the surrounding villages are collected here for transport. The town is a popular holiday destination with its 5 kilometres of sandy beaches, waterfront restaurants and bars. The market on Saturday also attracts many Holiday goers from surrounding areas and is a very busy and bustling example of middle east with a western touch. The market owners take Euros, British Sterling and the Turkish Lira. Although most items are fake they are still a cheap alternative to the expensive originals. Haggling is a must as most Bazaars in the world. There are mostly hotels and holiday homes peppered along the coast line but there is evidence of more production of homes. 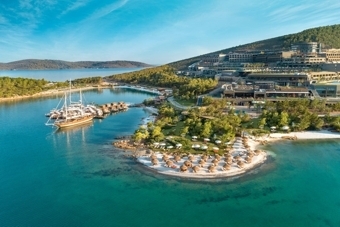 How to get from Bodrum Airport to Turgutreis Hotels? Turgutreis Transfers from Bodrum Airport, we provide reliable, low-cost Bodrum airport transfers to Hotels in Bitez, Bodrum with using a modern fleet of fully licensed & insured minivans and minibuses. Euron Transfer is the ultimate stop and ideal solution if you are looking forward to easy and reliable service from airports to hotel. Book your private Bodrum Airport Turgutreis Transfer online and pay to the driver uppon arrival, online booking. 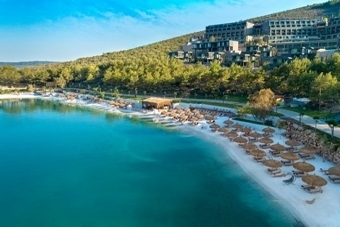 Bodrum have many nice places to stay, to reach the best places you will need a private Taxi from Bodrum Airport to Yalikavak, Turgutreis, Torba, Bitez, Akyarlar, Gumbet or other places. Book your Bodrum Airport Taxi to Icmeler, Bitez, Turgutreis, Gumbet, Yalikavak book now our Bodrum Airport Turgutreis Transfer online and pay to the driver uppon arrival. Bodrum Airport Taxi Service is a reasonably priced service so it is in the reach of everyone. Owing to great customer support, the best price and various options, this service is gaining popularity among travelers. Check the Rates of Bodrum Turgutreis Airport Transfer here. Book your taxi now and get ready for a great trip, Online Booking.